Tax tables can be difficult to interpret without some background knowledge. One of the biggest questions taxpayers have each year is how much they owe in federal income tax. The amount you owe depends on your income, your allowable deductions and credits, and the current federal income tax rate. If you prepare your own tax return without using tax software, you will need to use the federal income tax table to determine what you owe. The federal income tax table is a chart that lists income ranges and the federal income tax that corresponds to each range. The Internal Revenue Service updates the federal income tax table each year to reflect changes in the tax code and new tax rates. By reading the tax table to find your taxable income, as calculated on the first page of your tax return, you can determine how much you owe in tax. This is the total amount you owe, and you may still be eligible for a refund if your paycheck deductions and other tax payments exceed the amount shown on the tax table. The federal income tax table lists a different income tax for each filing status within each income range. Filing statuses include single, married filing jointly, married filing separately and head of household. You determine your filing status early in the process of preparing a tax return. The tax for each status is different, meaning you must locate the correct column to determine your tax. For example, as of 2012, if you make $50,000 and are single, your tax is shown as $8,631 on the tax table. If you make $50,000 but claim head of household status, your tax is $7,274. 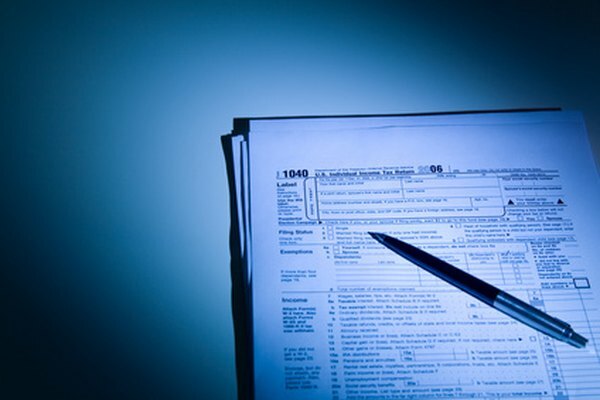 The federal income tax table is included with the full instructions for each tax return form issued by the IRS. It is also available online through the IRS website. The tax table is several pages long, and an instruction book may include more than one tax table for different users. Follow the instructions for your tax return carefully and refer only to the federal income tax table on the pages the instructions specify. Online publications also have page numbers for clarification. If you prepare a tax return using computer software, the tax table is built into the program and your tax is calculated automatically. You may not be able to view the tax table in its traditional form, but the computer uses the same data to calculate how much you owe. The federal income tax table is an essential tool in the process of calculating and paying your taxes. While the tax table does not specify different tax rates for different levels of income, it is organized according to tax brackets. This means that individuals with higher incomes pay a higher percentage of their income in taxes. Those with lower incomes pay a smaller percentage. This makes federal income tax a progressive tax. Tax brackets are designed to reflect the tax brackets while still making it easy to determine how much you owe.